Howdy! Welcome to my brand & website portfolio. Lucky Design 7 is me, Alisa Reilley. Are you starting a new business or have an existing business that needs a brand makeover? Do you need a logo or a professionally branded website? You found the right designer. I can help. I specialize in logo branding & website design for small business in local markets. It’s my passion. I love getting it just right. I am a mom and pop shop (well, just a mom shop but you know what I mean)! I moved to Asheville, North Carolina in late 1996. I stayed on in 1997, for a graphic design job, after finishing college at Western Carolina University. Since the inception of Lucky Design 7 in 2003, I have branded everything from coffee houses, real estate agents, artists, farmers, restaurants owners, hot air balloon pilots and all sorts of wonderful small businesses in between. My clients are doing what they love and what they feel incredibly passionate about. Passionate and life-loving clients are the folks I am really good at helping out. I will advise on ways to save money and where to not skimp out. I love being a part of a team with my clients. I enjoy helping you figure out what the new site needs to do and making it happen! I do that through being organized, doing my homework on trends, keeping it real simple and listening to what you need. I adore helping small businesses get noticed, in a crowded busy world, and be more successful doing what they love. 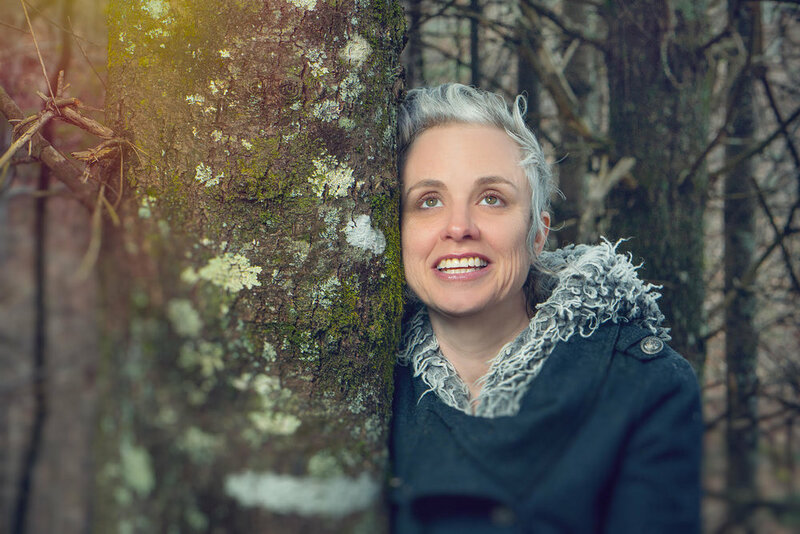 Here I am recharging in the woods, with my lovely wife photographer, Meg Reilley. I encourage each business to get a logo, a brand direction plan (brand plan) & a branded website. I build brands and logos that have a VISUAL PLAN in place… then, I make you a website you can edit, YOURSELF. You’ll be able to update photos and text easily, or add new sections or features to the website. I advise that you can’t afford NOT to get a logo and a brand. You have three seconds for folks to click on your offerings in a sea of goods!! Your brand has to stand out!! If you can't hire me, hire someone, please! I insist that my clients feel like we visually “got” your brand! Once we’ve completed your branding project, you will have the tools you need to run a business website and your own brand for yourself.